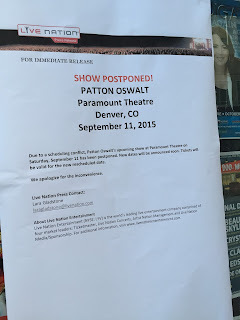 Tia got us tickets to Patton Oswalt for my birthday, and we were looking forward to a night out last night. We were worried about getting downtown with kids' sports, but since both were sick, we didn't have that issue. We got ready and left, heading downtown. Traffic was light, and we made good time. We parked, pleased that the tickets provided for parking and then grabbed a quick meal at The Protein Bar. A nice place, and I'll have to try and duplicate some of their recipes. When we were done, we walked over to the Paramount. We got the disappointing news. 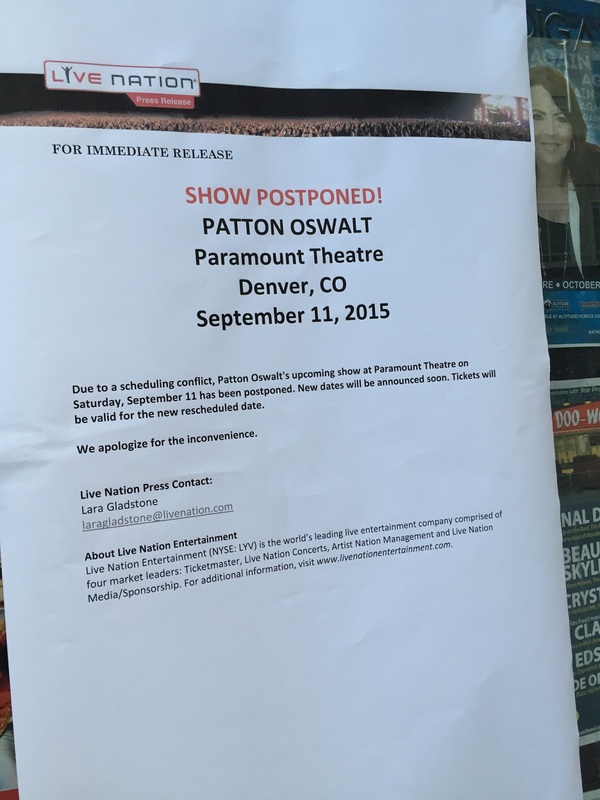 No show, and no real reason. We'll have to follow up and find out when the show is coming, but we stood there, trying to decide what to do. A movie theater is just on the next block, so we walked over and saw Straight Outta Compton was showing. We've been wanting to go, so we grabbed tickets and headed in. An amazing movie. Mostly about Easy-E, but plenty of Dr. Dre and Ice Cube as well, with the rise, split, and failure to get together of NWA. It's an iconic time in music, and in my life. I remember the controvery's about NWA, but wondered why they split. I've really enjoyed rap for a long time, and this was a great look at the hard, thugish world of music. Ice Cube's son was amazing, playing his dad. 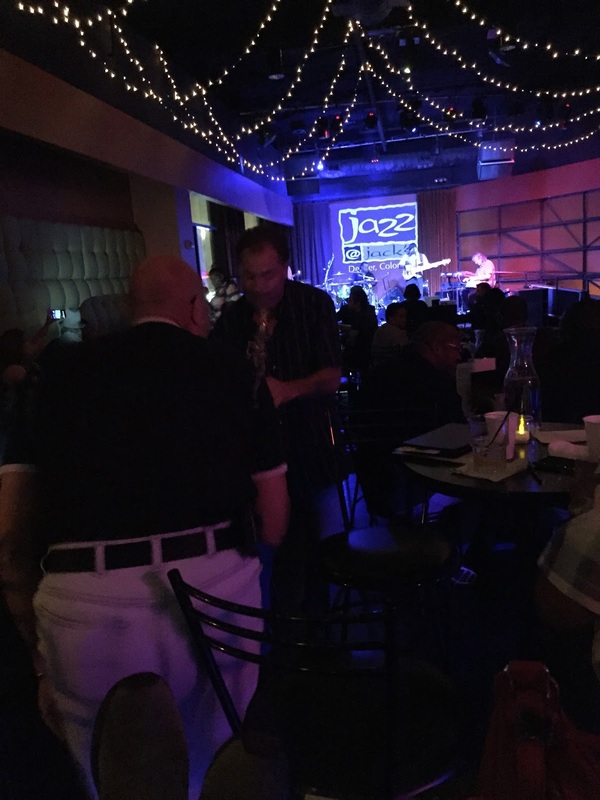 We really liked it, and walked out to see Jazz at Jack's next door. We went to their old location years ago, and Tia had a phase where she listened to jazz all the time. We decided to have a drink and sit for awhile, watching Dotsero play. They even managed to get us out there for a dance, before we finally called it a late night. Not what we expected, but a great night for Tia and me.